This is your opportunity to join the entire GIS community to explore and exploit the power of GIS. 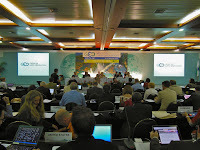 The GDi FORUM 2013 is much more than any other user conference - it is a gathering of the people who shape our region. In this year’s conference the focus will be on business and goverment solutions, innovations in the field of research and development and presentation of technology trends. In the technical session you can learn the latest and best practices and user cases from our GIS professionals that can help you in your professional GIS tasks. Share your experiences with other users, register for being presenter or poster exhibitor! We believe you can find those GIS professionals and topics that can assist you achieving your professional goals. We wish you all the best and successful participation and GDi FORUM 2013 and XVIII. 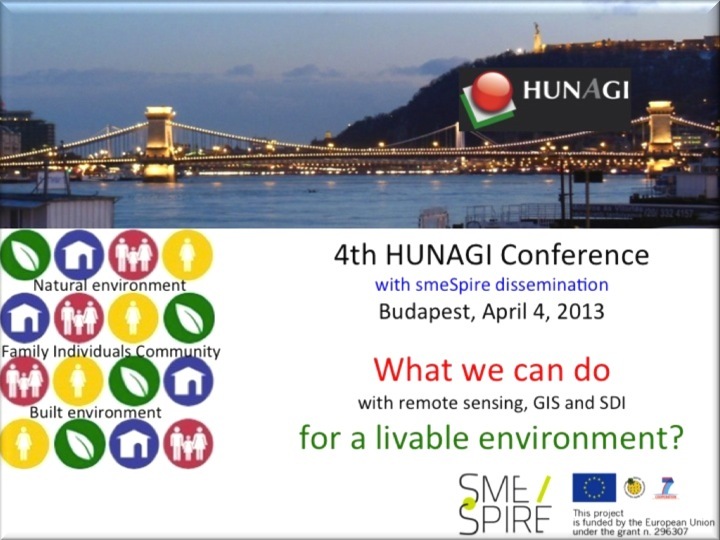 Esri Hungary User Conference!" Please take a short break and complete the following 3-min questionnaire to assist the organizers to have a more comprehensive view on the views of the interested experts of this domain. The results will be available for the contributors if requested. receiving your suggestions, and publication interests. The issue of Vol. 4. No 1. 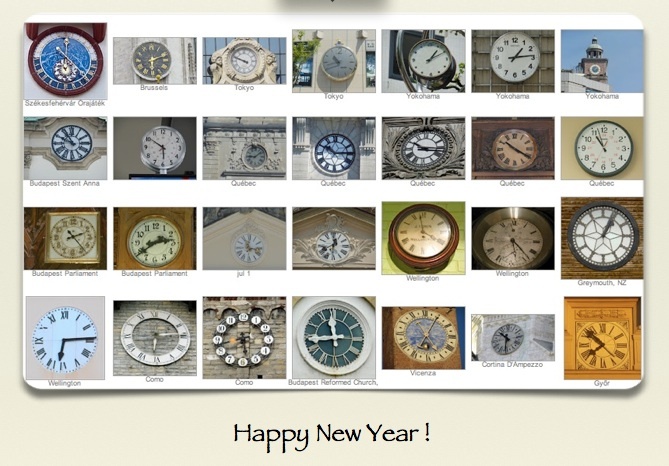 (2013) in PDF.
" The "Conference and Workshop for Building V4 Network Researching Spatial and Social Aspects of Disaster Management" takes place on 22-23 May 2013 in Budapest. (http://visegrad.cascadoss.hu/en/) On the first day, 22 May presenters from Visegrád countries will report about natural disasters of various length, analysing the reasons for and the effects of damage, next to elaborating possibilities for handling – possibly forecasting – disasters, as well as their wider effects upon society. 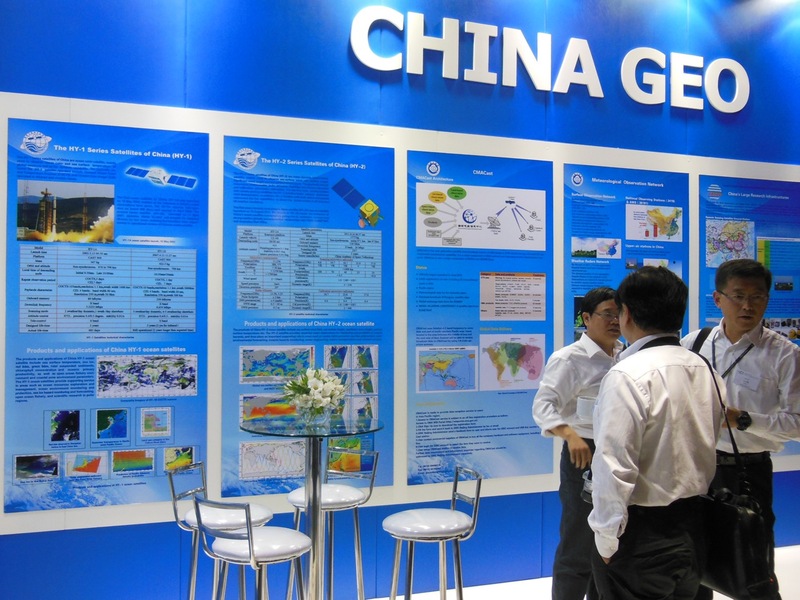 Floods, inundations, droughts and deflation are being considered with a particular emphasis upon geoinformatics, including the possibilities and applicability of distant detection. Conference languages are English and Hungarian. We are still waiting for new presentations. Please register here and mail your draft presentation (500 characters at least) to cascadoss@gmail.com no later than 29 April: http://visegrad.cascadoss.hu/en/presenter-registration"
HUNAGI ask its partners in the V4 Countries and beyond the region to disseminate this information as widely as possible among the potential interested institutions and experts. 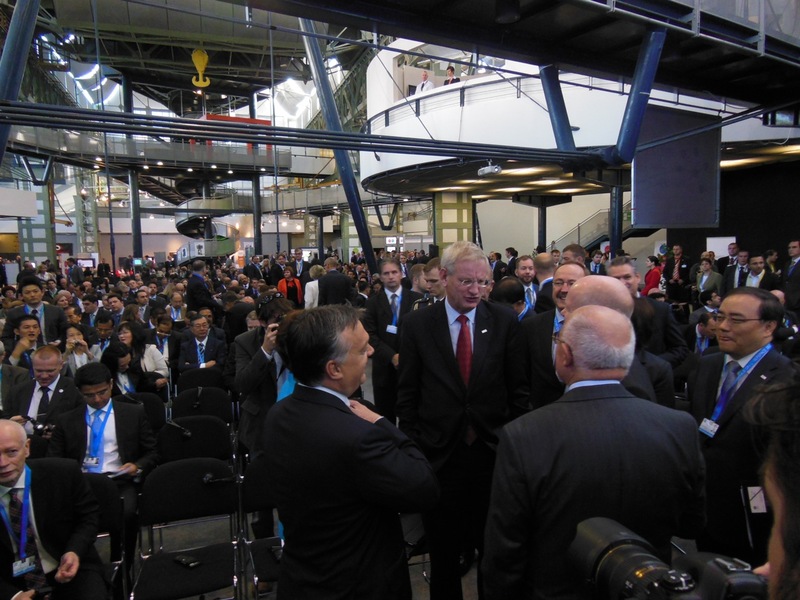 HUNAGI Conference attracted SMEs, academia and governmental sectors as well. transfered reg fees will be returned. Taking into consideration the role of early warning systems in minimizing damages and losses in case of disasters, UN-SPIDER is organizing the United Nations/Germany Expert Meeting on the Use of Space-based Information in Early Warning Systems with the financial support from the Government of Germany. The main objectives of the expert meeting are to raise awareness concerning the most recent advances regarding the use of space-based information in early warning systems and disaster preparedness; to identify and systematize areas where space-based information can improve the functionality of existing early warning systems; to identify knowledge management strategies that can facilitate access to and use of space-based information in early warning and preparedness; and to bridge the space and the early warning communities. Participants: The expert meeting is expected to bring together a selected number of participants from national, regional, and international public and private organizations representing the space as well as the disaster-risk and emergency response communities. 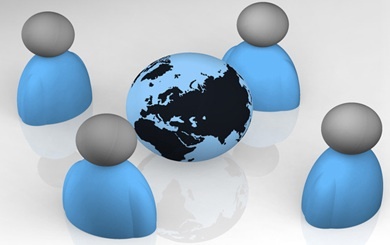 Financial Support: A number of qualified applicants from developing countries, who have expressed the need for financial support, will be offered financial support to attend the expert meeting. 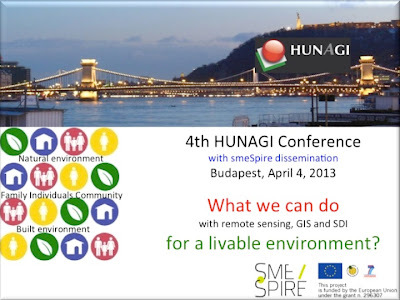 Note: GiziMap became member of HUNAGI in 2013. 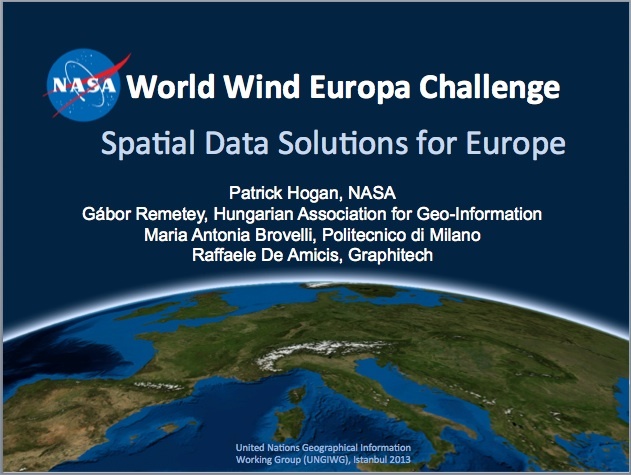 By invitation of UNGIWG Co-Chairs Matjaz Prah (CTBTO) and T.Suha Ulgen (OICT), HUNAGI delivered a presentation today on the NASA World Wind. The presentation has been compiled by the team of NASA World Wind Europa Challenge Team as shown on the cover slide. 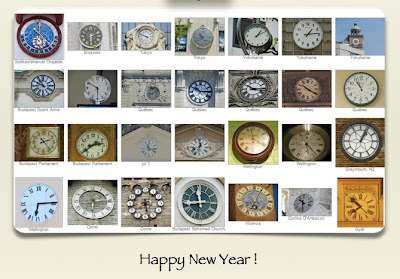 Launched yesterday, the continuously updated Calendar of Events. 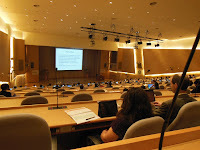 Domestic, Regional and Global conferences, Symposia and Workshops which might be interesting for the readers of the blog. 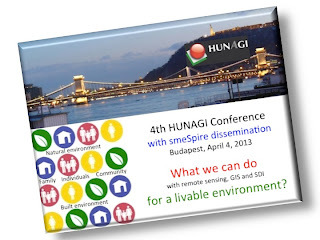 Special attention is paid for events organised by HUNAGI members and organisations such as GISIG, EUROGI, GSDI Association, ISDE or UNGIWG, for which HUNAGI keeps istitutional relations. The world’s most detailed aerial image mosaic has been made. Aerial photos have been used for mapping in Hungary since 1916. The unique feature of the ortho image map made in 2012 is its amazingly high resolution. A pixel is suitable for displaying units of half a centimeter width. No one has managed to reach such a high level of detail covering such a big area from a fast moving aircraft. Not only specially modified aircraft and specially designed sensors are needed for the purpose, but it also requires thorough planning and careful implementation. 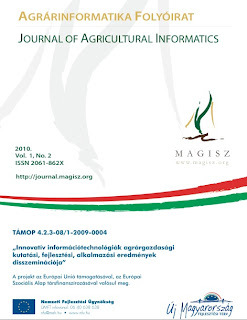 This method is suitable for various ecological and climate research investigations which also contribute to the significance of the Hungarian world record. 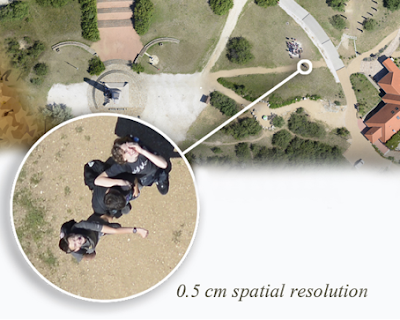 The key feature of the new technology is high spatial resolution. The resolution of the best black and white satellite images is 40 times lower while the resolution of infra-red images is three hundred times lower. Images of five times lower resolution have been made from aircraft in other countries. Four specially calibrated aerial cameras were built during this period, making possible detailed environmental surveys that had been completely impossible previously. The photographers were inspired primarily by these applications. This is the main focus of the research work. Not only laboratory preparations were involved; the equipment was also tested in various aircraft. Tests were conducted in the years preceding development of the sensors; as a result the first Hungarian digital aerial cameras were built. After modification of the aircraft and planning the flight, the crew had to wait for the most suitable time. The right weather is crucial, as even the shadows of clouds can be disturbing if they are visible on the image. The flight was planned by the owners of the idea: the ortho photo operator Gábor Bakó, András Arady first pilot and Zsolt Molnár. Although detailed high resolution aerial images had been made before from helicopter and ultra light slow flying craft the basic idea of ortho image mapping is to make economical and quick flights covering large areas. The aircraft moves fast, covering the paths of the area, while the aerial camera looking downwards makes shots of the Earth’s surface. The map is made from these continuous overlapping shootings. Ortho images are generated by processing the digital photos. 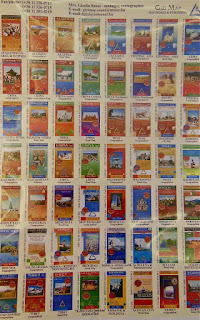 These orthophotos are cartographic projection-matched images, with geographical coordinates assigned to every pixel. Harmonization of the partially overlapped orthphotos results in a photo map. It is a photo which displays the surface of the Earth in the map coordinate system. This also requires field measurements, and clearly set control points on the ortho-photo. 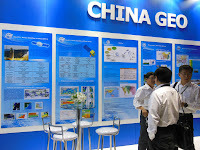 The measurements are made by high-precision geodetic GPS. 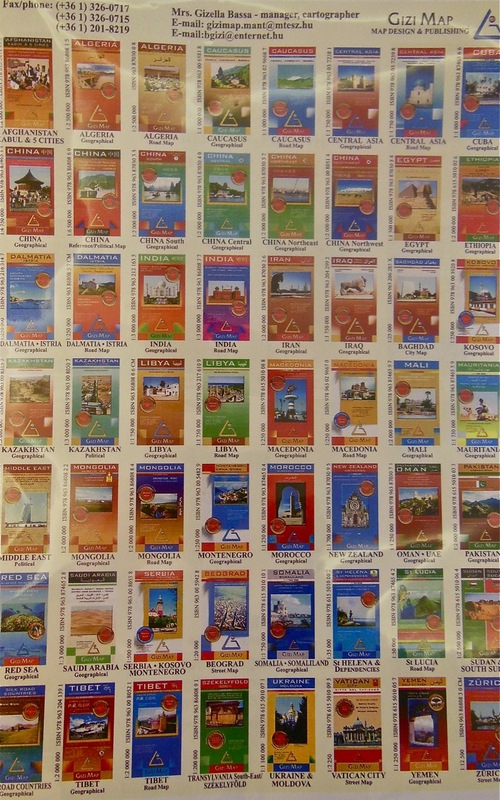 These coordinates assisted the cartographic projection and synchronization of the image with the earth surface displayed. The digital image generated conveys a great deal of information about soil types and humidity content of open areas, about the composition and extent of any pollution. 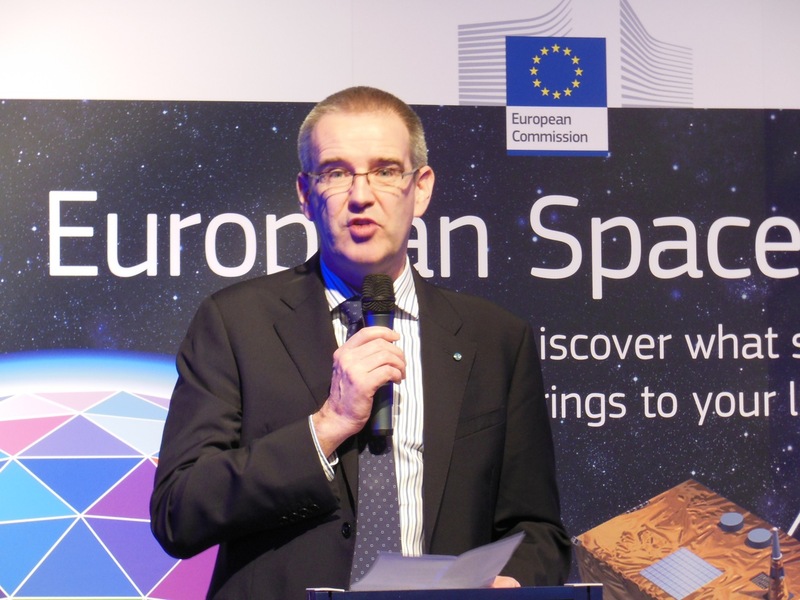 Vegetation can be mapped, and the state of natural treasures can be recorded in space. The Military Memorial Park of Pákozd was declared a National Memorial Place by the Hungarian Parliament in an act of 1 January 2012. The Memorial Park is designed to present the heroism of the Hungarian soldiers witnessed in the past 165 years, starting from the first winning battle of the fight for liberty, for protection of the achievements of the 1848-year revolution. The Memorial Park is the most frequented exhibition site of the region which receives visitors from March to November. Banner of the event approved by the Organising Committee can be downloaded here. Megdöbbentő hír érkezett: 74 éves korában elhunyt Detrekői Ákos akadémikus, geodéta, a BME volt rektora, akinek nagy szerepe volt a HUNAGI megalakulásában is. Az MTA hivatalos közleménye itt olvasható:http://mta.hu/mta_hirei/elhunyt-detrekoi-akos-geodeta-az-mta-rendes-tagja-131104/. Generációk egyetemi tanára volt, mindíg előre tekintő, nemrégen támogatója a Digitális Föld szimpózium remélt budapesti megrendezésének. Életpályája a Wikipédián. Életének 74. évében, 2012. december 18-án elhunyt Detrekői Ákos Széchenyi-díjas magyar geodéta, egyetemi tanár, a Magyar Tudományos Akadémia rendes tagja. The second annual Presidential Board Meeting was held at the VÁTI premises yesterday. The Board made some important decisions. Announcement will come soon. 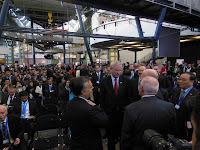 The Cyberspace Conference started in London in 2011 was hosted by the Hungarian Government between 3-5 October this year with the slogan “With trust and security for freedom and prosperity”. The high profile event with 600 participants from 60 countries was opened by the Hungarian Prime Minister Viktor Orbán and attended by the high representative of the European Union for Foreign Affairs and Security Policy Catherine Ashton, Vice President of the European Commission and many ministers from all over the world. The Budapest Conference was welcomed in a videobroadcasted message by US State Secretary Hillary Clinton as well. Among the invited participants representative of the Hungarian GI Association HUNAGI was present. Gabor Remetey, member of GSDI Legal and Socioecon Committee made intervention in the discussion Social Benefits and Human Rights with the subject how the privacy will be ensured in an era, where the development and applications of new technologies in data and information gathering growths with unprecedented speed as it is anticipated 50 bn wireless mobile devices will be connected to the Internet in 2020. Acknowledged IoT (Internet of Things) experts of the panel including Prof. Wolfgang Kleinwaechter discussed the issue addressed. - balancing between security and freedom is a delicate task – they are not incompatible. The next Cyberspace Conference will be in Seoul, South-Korea in 2013. Hosted by the Academica Sinica Campus in Taipei, the 23rd CODATA Conference of the International Council of Scientific Unions (ICSU) was opened by Prof. Yuan-Tsai Lee, President of ICSU and Academician Guo Huadong, President of CODATA (CEODE, Beijing China). 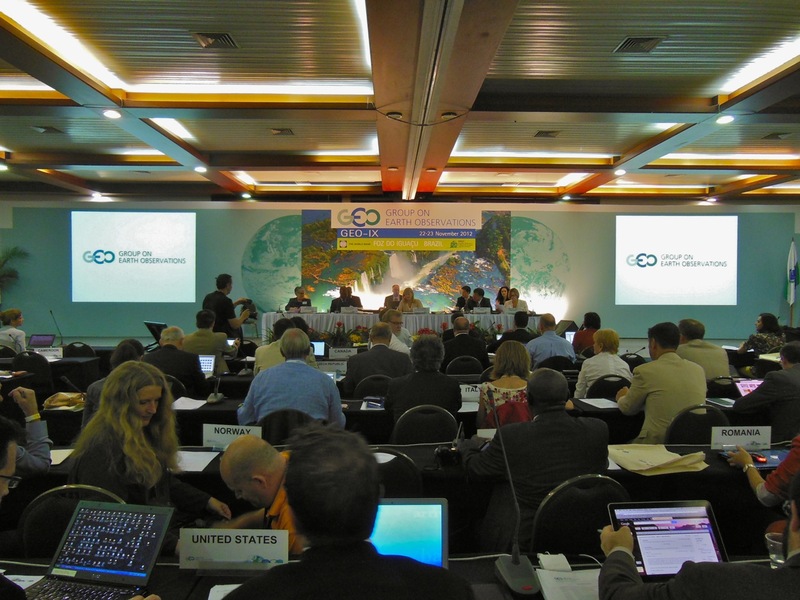 CODATA was established in 1966 by ICSU. GSDI SocioEcon Impact Com Co-chair Jeremy Shen (Taipei, Taiwan) and several Legal & SocioEcon Com (LSE) members took actively part on the international event. Prof. Anne Fitzgerald (QUT Law School, Brisbane, Australia) delivered a lecture on the use of social media to collect and disseminate emergency information highlighting the case study of the Queensland Police Service in the theme disaster management and social media. 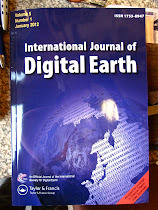 In a parallel session organised by the International Society of Digital Earth (ISDE) under the theme “ Digital Earth in Data Intensive Era” Gabor Remetey (HUNAGI, Budapest, Hungary) had a presentation entitled “Shared and open data – European efforts and practice from an NGO perspective “. With Co-authors Katleen Janssen (KU Leuven, Belgium, Co Chair of GSDI LSE) and Catherina Bamps (EUROGI) the talk gave an overview from European data policies (INSPIRE, PSI, ODP) to projects such as LAPSI and LAPSI 2.0 making emphasis on relevant activities of GSDI as well. This ISDE Session had further speakers from University of Osnabrück, USGCRP, NASA HQ, NASA ARC, NSF-George Mason University in the subjects beyond the next generation Digital Earth, open data, Big Data, NEX, cloud computing. The Annual ICSU CODATA Award was given to Prof. Mike Goodchild this year. 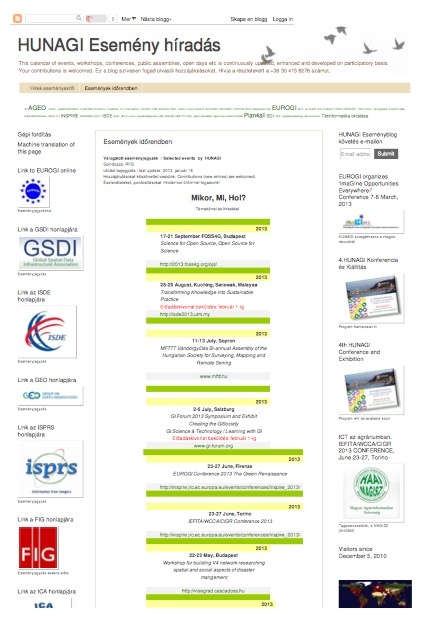 - Tools for Health Decision-Making (Brazil, EC, France, India, Germany, USA, ACMAD, WHO, WMO) mobile phone Apps, high-risk zones, etc. 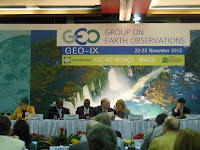 Discussion points addressed include wether GEO should continue post 2015 and why. Strategic Direction options, Societal Benefit Area options, Governance options. 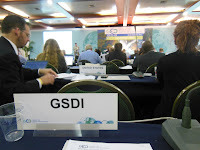 GSDI Association made intervention in the plenary discusion of the AfriGEOSS initiative, announcing the venue, date, co-organisers and objectives of the 14th GSDI World Conference held in Addis Abbaba next November. On the second day among 12 other participating organisations such as WMO, IEEE, CEOS, GSDI delegate Gabor Remetey presented a GSDI statement highlighting the mutual benefits for the Earth Observation and the geospatial data infratructure communities. IGS, GIKNet, involvement in GEOSS task force, GEO participating organisations’ actions in case of CEOS WGISS, ICSU CODATA and ISDE activities only a few to mention. The GEO X will be hosted by the Swiss Government. Volunteered contributions are welcomed. Please click on the banner. Netherlands Coordination Office of the United Nations Spatial Data Infrastructure. 34 Bonaventura GIS Market Analysis and Publishing Ltd.
44 National Cadastral Programme Non-profit Co.
Notice: For your convenience, this site is still under re-construction. Thank you for your understanding.